Great White Trillium | Gurney's Seed & Nursery Co.
Blooms mid spring to midsummer. Great White grows 12-18 in. tall and spreads to 18 in. 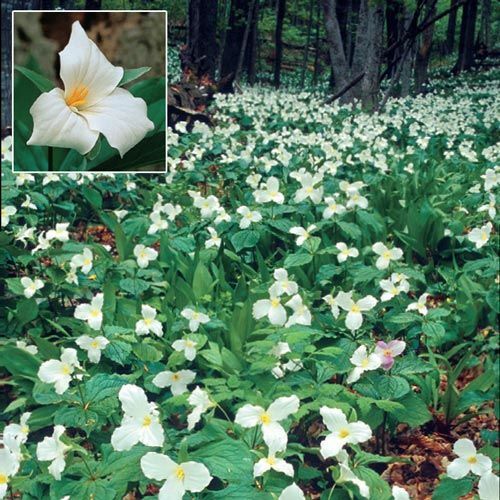 Beautiful for naturalizing and stunning in a shady spot. Zones 3-8. FoliageDeep green , diamond shaped foliage. ColorWhite - turning to pink with age. Soil RequirementsHumus enriched, moist soil. Growth RateModerate growth r ate. CommentsLargest of the trilliums. Adds color while maintaining a naturalized look. Blooms mid-Spring to mid-Summer. 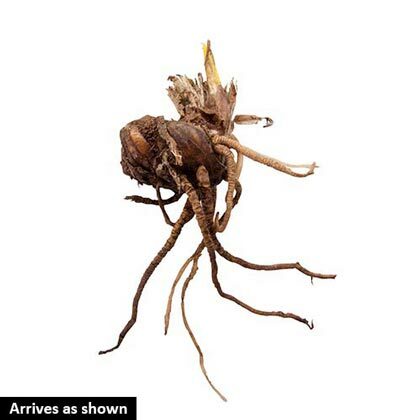 Grows 12 - 18 inches tall and spreads to 18 inches. Purple and Lemon are more compact, 6 - 12 inch tall with a neat 12 inch spread. Select plants. Restricted States: AE, AK, GU, HI, PR.